The last few episodes of Lost reminded me of this Twilight Zone classic, "The Howling Man." A lost traveler comes upon a monastery harboring a dark secret. The monks claim to have captured... well, see for yourself. Now maybe it's just my imagination, but I hear a howl when Smokey's in attack mode. A little homage/inspiration perhaps? Last night’s season premiere of “Lost” was a bit of a departure. The show has always stuck a tentative big toe in the sci-fi waters for a few seconds, but this time it dove in head first. What happened to all the promises of a logical explanation to everything? Hopefully, time travel won’t become a big mess like it did on “Heroes”. Ratings weren't that -- though it came in third place behind "Criminal Minds" and the premiere of "Lie to Me". 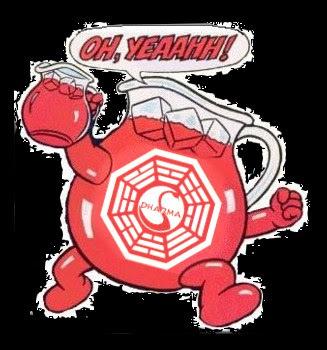 Took me a while, but I finally stopped drinking the DHARMA Kool-Aid. I caught the rebroadcast of the “Lost” season premiere last night and it did absolutely nothing for me. Sat stone-faced throughout the whole thing. I haven’t gotten around to checking out “Eli Stone” though -- which reminds me an awful lot of Fox’s short-lived “Wonderfalls” -- but from a distance, it looks spec worthy.